StackSource is the best way to find debt financing for your next commercial real estate deal. 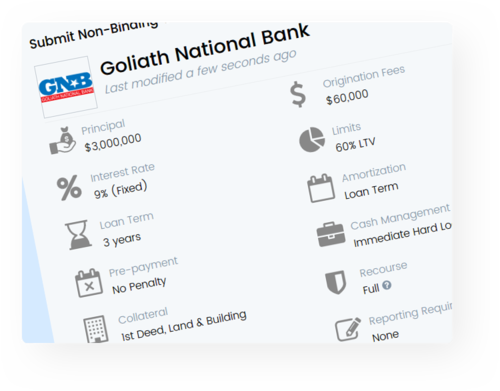 Our technology instantly connects you with the right lenders and gives you the confidence to close your deal quickly. 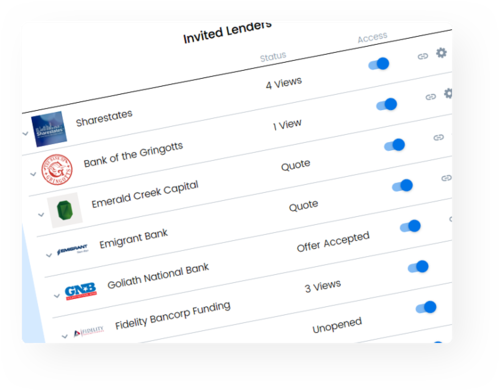 Create your online loan request in 10 minutes and get your deal in front of multiple top lenders. Lenders compete for your deal and you negotiate the best terms. Create one online loan request and get your deal in front of multiple top lenders. Lenders compete for your deal and you get the best terms. 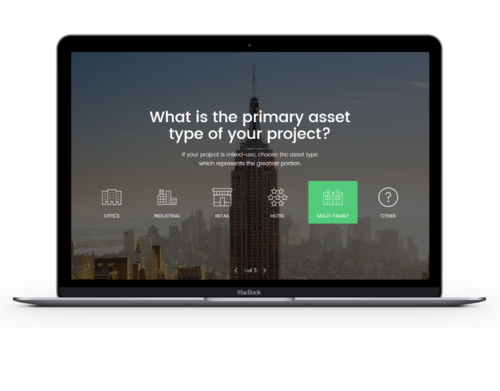 StackSource matches you to acquisition lenders tailored to your commercial property. There are several factors which will affect the rate of your commercial mortgage (loan for commercial real estate). While the underwriting practices of lenders vary, there are several key factors that will determine which lenders are your best bet, and how competitive your rate will be.